For Marc and Christina Burget, Valentine's Day 2016 is one for the books. Or the movie screen. Or maybe both. As The Florida Times Union tells it, "No one could have written a more memorable Valentine's Day script." The Jacksonville couple have been married 17 years and usually mark the holiday by going out to dinner. But not this year. 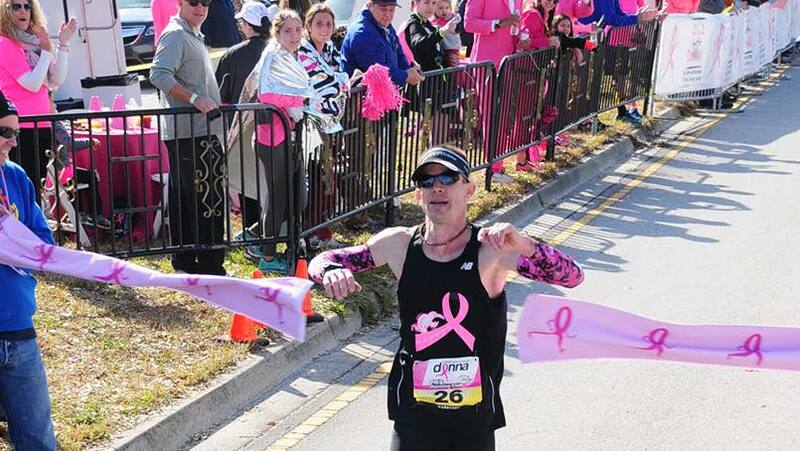 Instead, on this Valentine's Day, Marc ran and won the 26.2 with Donna marathon, known as the race to finish breast cancer. 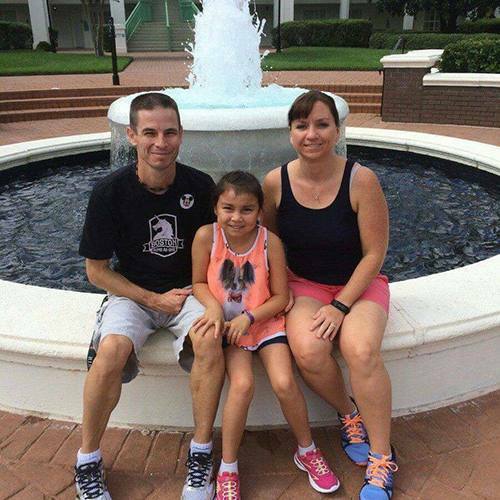 He dedicated his race to Christina, who was diagnosed with the disease on Jan. 7 and began treatment at Mayo Clinic's Florida campus just weeks before the event. "Cancer's not going to stop us doing what we love to do," Marc told the paper. And one thing they both love to do is run. Christina has run "myriad" 5Ks and four half marathons. Marc has completed numerous races, including many marathons and ultramarathons. But neither was planning to run the 26.2 with Donna this year. According to Runner's World, Marc and Christina planned to be on the sidelines at the 26.2 with Donna, cheering on friends who were running. So on Feb. 14, instead of cheering his friends on, Marc was racing with them. He and more than 200 other members of the club ran with the hashtag #finishforchristina on the backs of their shirts. Marc, fittingly, was the first to finish for Christina, breaking the tape at 2:46:18. Christina and Annabelle were waiting for him at the finish line. "To be dealing with this, and now be here and see how amazing the support is, it's great," Christina told the Times Union of the experience. She encourages everyone to "just go to the race," whether to cheer, volunteer or run. She hopes to be at the starting line for the half marathon herself next year. "It's an amazing race," she tells us. And one that's raised more than $4.5 million for breast cancer research and care since 2008. "We're out here trying to give hope and joy," founder Donna Deegan told the Times Union. We'd say mission accomplished. We'll cheer you on if leave a comment below and use the social media tools to share this story with others.